On New Year’s Eve we had some family and friends over for appetizers, dessert & cocktails…everyone had a wonderful time! For the big event, my sister-in-law Maria and my nieces Olivia & Michelle made two delicious Key Lime Pies! I was able to take a break from the cooking and baking and asked them if I could blog their creation! The pies turned out absolutely wonderful…rich, creamy and tarty with just the right amount of sweetness. Thank you Maria, Olivia, and Michelle (who assisted with the icing piping) – these Key Lime Pies were a BIG HIT! Note: This recipe makes one Key Lime Pie. Maria & Olivia doubled the recipe to make two pies. Heat the oven to 350 degrees. In a medium bowl, beat the egg yolks until smooth. Beat in the condensed milk, lime juice & zest. Pour lime filling into graham cracker crust. Place pie in heated oven and bake 15 minutes. Remove from oven and allow to cool 10 minutes on wire rack. Cover with saran wrap and place in refrigerator for a minimum of one hour. 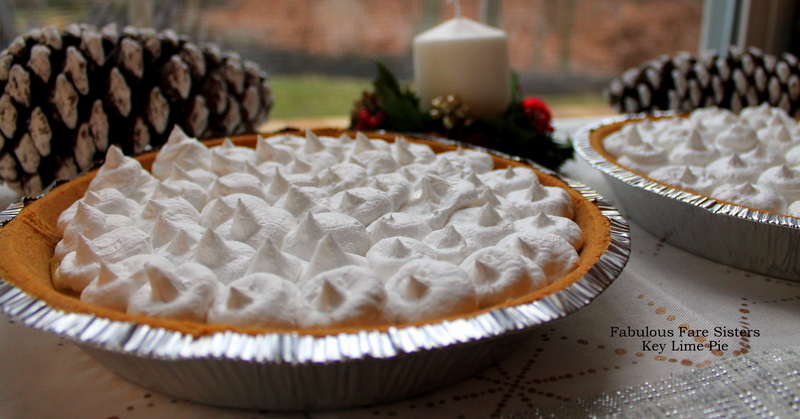 Just before serving, pipe whipped cream icing on the top of the pie. Hope everyone enjoyed your holidays! 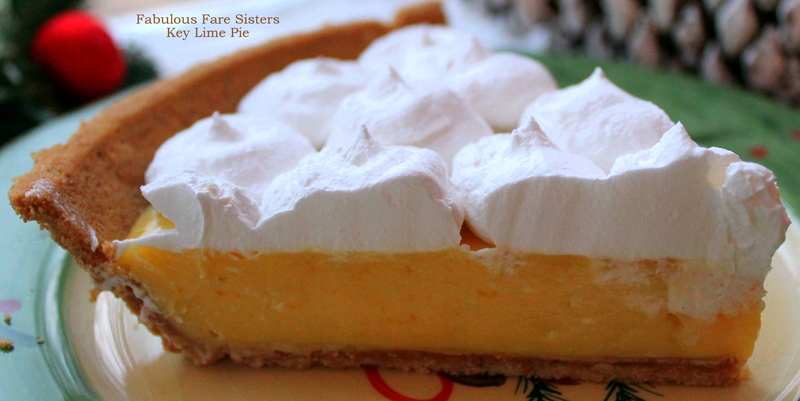 OMG I love key lime pie and yours look absolutely delicious like the ones I had in Key West! This is one of my favorite pies!! Oh my goodness..yum! I love key lime pie! Nice touch piping the whipped icing on 🙂 That was so sweet for them to let you post. Happy New Year! Yum… I love Key Lime Pie. Ooohhh look at you go, Linda, look at YOU!! I am sure, they are gorgeous also! It’s hard to find or make a good key lime pie. I’ll definitely give this a try.